I became interested in plankton while browsing the scientific libraries in Woods Hole. I am drawn to the beauty of the abstract form and fascinated by the portrayal of the data. I am interested in the classifications, the ordering and organization of the groups and gleaning a character, personality, individuality from the organism that will resonate with my paintings and may form a personal connection to the viewer. In my studio, the paintings and drawings develop these traits. 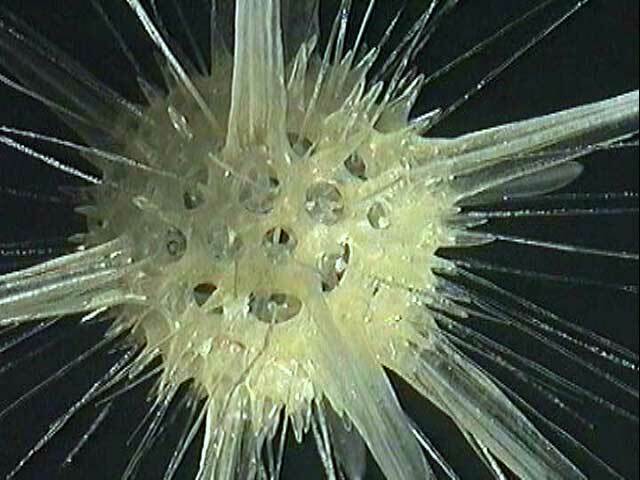 When the radiolaria were lining the walls of my studio I saw them as my protective radiolarian samurai. The siphonophores are leisurely, elegant, gentle and refined. The medusae are iconic and private. Kimberly Falk is a digital artist specializing in scientific animations, illustrations and 3D-printed designs. Initially trained in plant and insect biochemistry, she taught herself 3D-modelling and computer animation for the purpose of communicating scientific concepts more visually. Her fascination with the magnificent world of protists began with a move from the United States to Jena, Germany, the home of the 19th-century German naturalist and artist Ernst Haeckel. 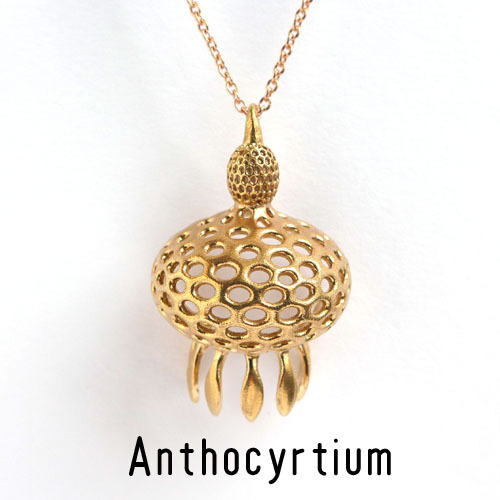 Using 3D-modelling and 3D-printing combined with lost wax casting, as well as inspiration drawn from Haeckel's drawings and contemporary micrographs, she recreates radiolarians, foraminifera, coccolithophores, and other microfossils in jewellery form. In the outskirts of Aarhus, Denmark's second largest city, a large scale hospital project is underway. 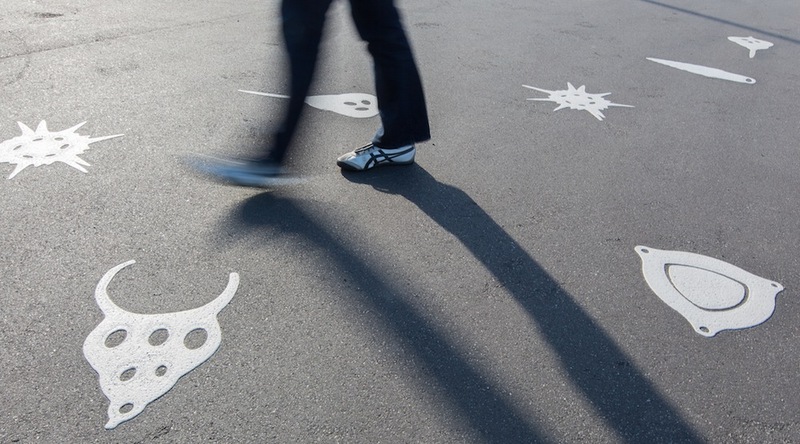 Danish landscape architects Schonherr have been inspired by radiolarians in their work for the design of the surroundings of the new hospital. Mike started woodworking soon after he graduated from dental school. He learned basic skills using the shop of a friend who got him interested. Mike bought his first woodworking tool, a Shopsmith, after moving to New York. From this humble beginning Mike has gradually increased his skills and changed his focus from utilitarian to more artistic work. 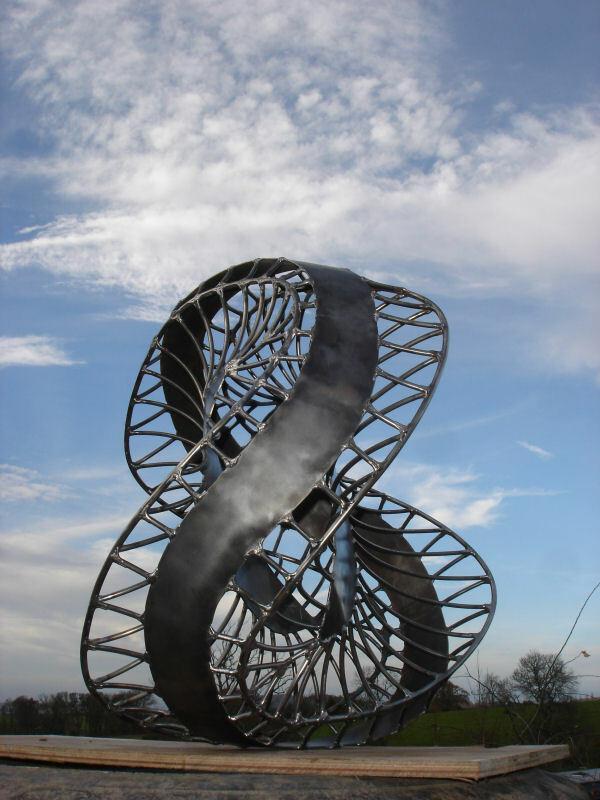 Alan Ross is a metal sculptor based in Herefordshire, England, specializing on garden sculptors. Over the years the shapes and structure of radiolarians and diatoms, seeing them both in a scientific and artistic way, have fascinate him. He has e.g. made a large beautiful diatom sculpture that has been rusted, polished and lacquered to give it a hardwearing finish to live out door. 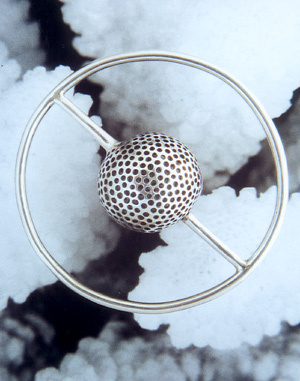 It is the first sculptor in a series of planned works exploring the microscopic world. 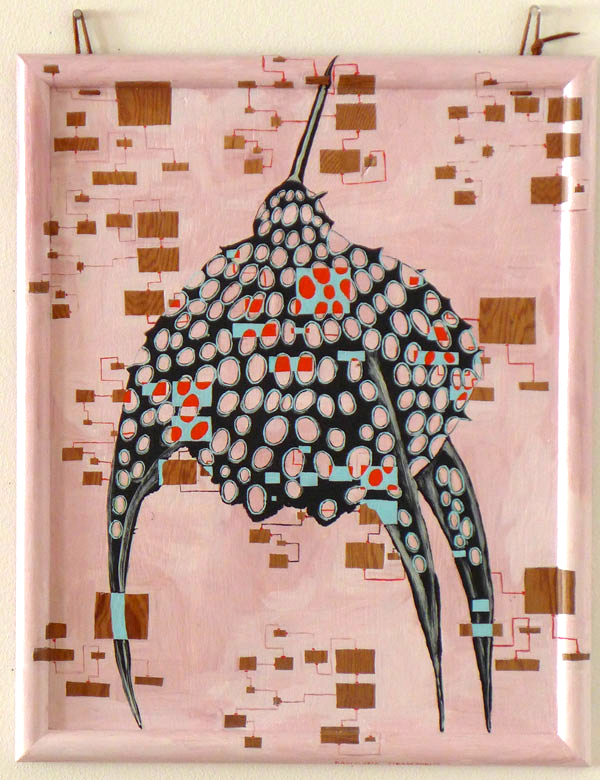 The second, a radiolarian piece, was made in July 2012. It was inspired by Ernst Haeckel's amazing plankton drawings from the late 19th century. The radiolarian sculpture stands 2.5m tall, and is made of rusted mild steel. It pivots on a simple ball and socket joint and is able to spin and wobble round a central axis. Miik Green is a multidisciplinary visual artist living in Perth, Western Australia. 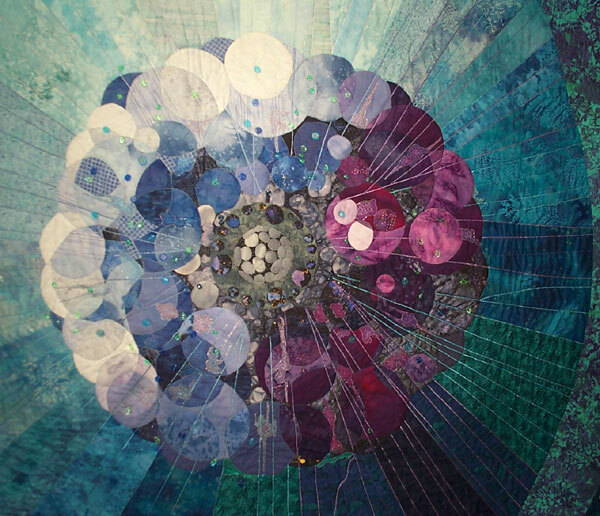 Green draws his inspiration from the microscopic aspects of nature, and is currently involved in cross-disciplinary artistic collaborations that integrate the fields of science, mathematics, chemistry and physics. The strength of his practice lies in his ability to translate microforms such as radiolarian, into paintings and sculptural pieces, while preserving the integrity of the original form. He utilises heterogeneous material combinations to realise these micro-structures that appear strikingly similar forms in nature. Gerhard Lutz was born in Munich in 1942. He studied Art History at the University of Munich, and painting and sculpture at the Academy of Fine Arts in Munich. He has more than 100 individual and group exhibition internationally, displaying his ceramic arts and photographic works, and received several awards both in Germany and internationally for his art works. 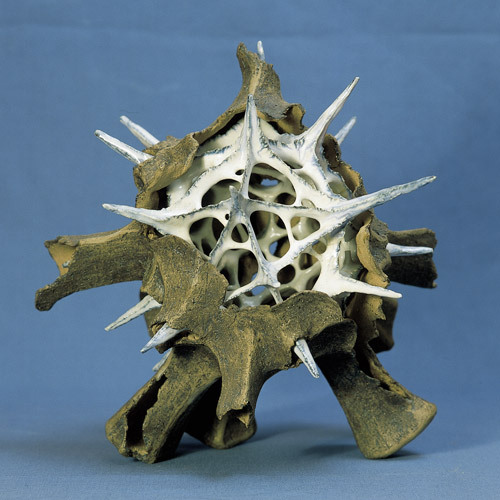 Gerhard Lutz has been working with Radiolarian inspired clay models since 1977. Most of his models are made from porcellain, but some also have a surrounding outer form made from stoneware (ceramic), contrasting the porcellain and giving the sculpture a different dimension. Robert Kraus creates Radiolarian jewellery 3-dimensional in gold and silver. He was born in Germany in 1965 but is now living in Austria. He is a biologist and has been working as a jewellery artist since 1997. Robertï¿½s expositions are highly appreciated at national and international scientific meetings. ï¿½The idea was born years ago. Already in my first years as a student of Biology I fell in love with the beauty of plankton organisms and microscopical structures in general. 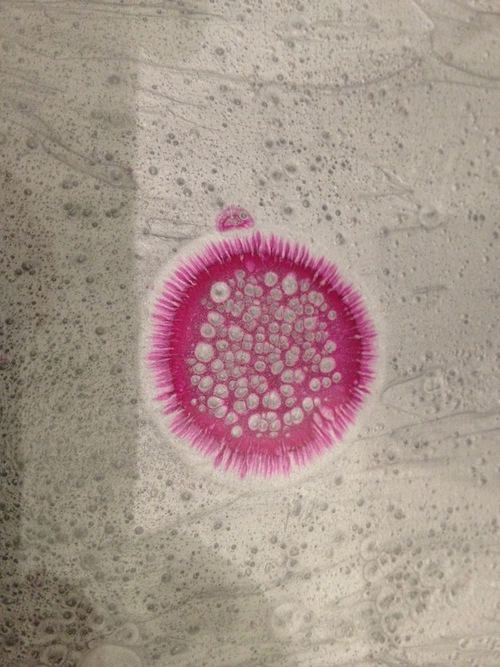 To carve Radiolarians in lost wax pattern is one of the most intriguing challenges. Nobody can escape their elegance. People who have never seen or even heard of Plankton become completely fascinated by viewing and feeling these shimmering objects of artï¿½. Robertï¿½s biological jewellery is for sale. For more information please look at his homepage: www.pretiosae.de or contact Robert Kraus (by e-mail). 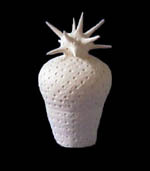 Eva Bjerke, ceramic artist, born 1950 in Sweden The exhibition ï¿½The Radiolariansï¿½ was made in 1999 and has been shown in Munkeby, Uddevalla and Bengtsfors in Sweden, and in Oslo and Larvik in Norway. The radiolarian sculptures are made in bone-white clay. The size (height) varies from 33 cm to 56 cm. Eva Bjerke loves radiolarians, and her dream is to study the variety of radiolarian shapes, enlarging them in sculptures to make people see the richness and beauty of the sea. "When I had a short job at the library of the Marine Research Station in Fiskebï¿½ckskil, I came to see some books made by Ernst Haeckel. They described the Radiolarians, with excellent lithographs made by A. and E. Giltsch, Jena (from about 1888). I was totally captured of the shapes of theese living beings from the microcosmos - so unlike anything else I had seen. I just had to make their forms in clay, maybe to help me understand that they really exist", she says. 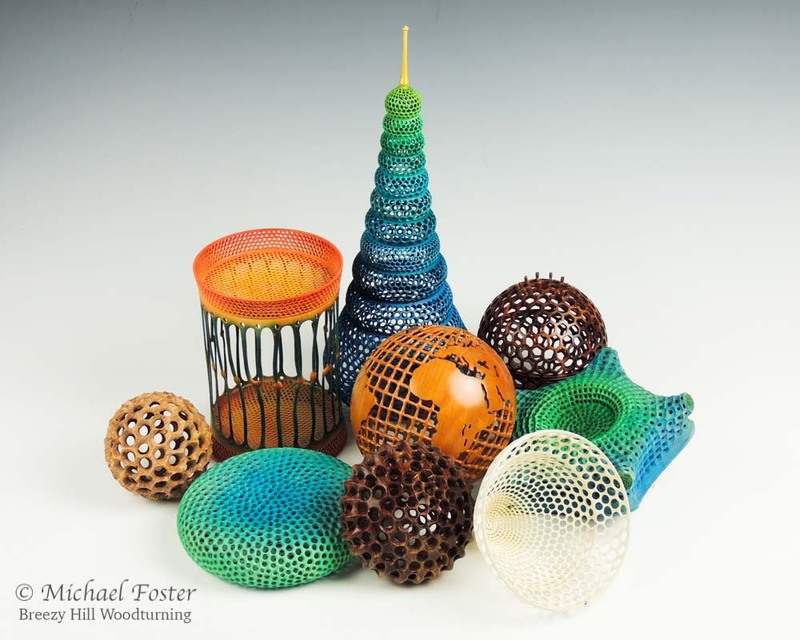 The radiolarian sculptures are for sale. For more information please contact Eva Bjerke.